Bettany, thank you so much for taking the time to talk to us about your book, Istanbul: A Tale of Three Cities. What drove you to write about the city? Byzantion, Constantinople, Istanbul: why has the city always been such an important place? How did you go about researching it, and who is your book for? There were many reasons to write this book. I knew the massive infrastructural projects in the modern city of Istanbul – the excavation of road and rail tunnels under the Bosphorus and a new metro system, not to mention other urban development – meant that a wealth of brand new archaeological evidence would soon be emerging. So, at last, I thought it would be possible to investigate the story of the city from prehistory to the present. The collapse of Soviet power also meant that old Ottoman documents had been released from archives and storerooms. My hunch was there would be enthralling new material to share with a wide public – at a time when the city itself was racing up the political and cultural agenda. I have been actively gathering material for this book for a decade – and first researched there over 30 years ago. In many ways the book is a love-letter to the city. There was much I had to leave out – there’s a book’s worth of notes still under my desk! 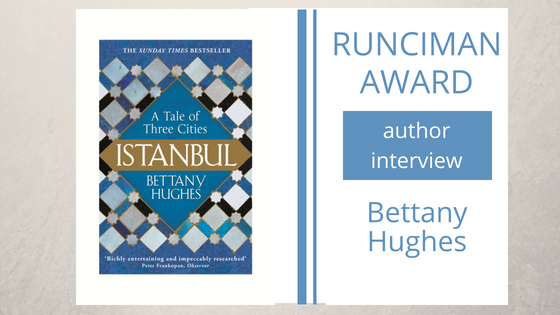 But I was in part driven to write Istanbul: A Tale of three Cities because I was sick of the lazy ‘bridge between East and west’ label so often applied. Istanbul is not just a connector, it is a crucible. This is a city relevant to all points of the compass, North, South, East and West. It is a city that teaches us about the value of being an effective cosmopolitan. Practically I have always been a working mother – so although this volume stretches to exactly 800 pages, the chapters are short. My hope is that busy people can read this on the bus, the tube, while waiting to pick up muddy children from a sports match – as much as they can do in the calm of a university library. Your book covers a period of thousands of years. It is impossible to write a detailed historical narrative of each major period, even in 800 pages; how did you decide on the best way to organise your material? The book contains a series of vivid snapshots of historical events: what governed your choice of which to include? I knew I wanted to write a history from the bottom up. Etymologically, physically, philosophically, a city is the citizens who inhabit it. There has long been a tradition of literacy and of artisanal creation on that rhino-horn of land that juts out into the Sea Of Marmara. So I took my lead from the new evidence – and charted a story that is both chronological and thematic. This is why you’ll find chapters on Eunuchs and Silk-Makers as well as grandstanding historical moments. I also wanted to highlight the classical Greek period of the city – it feels as though many have heralded Constantinople’s Byzantine or Ottoman splendours, but have paid slightly less attention to the vital 500 years when the ancient Greeks made it their own. It is the mood of men that make a city – and at its best the mood of this great metropolis is convivial. I wanted to chart – and to try to understand – what it takes to make a successful city. Which periods or figures do you relate to most, and why? Did you deliberately try to emphasise the role of certain groups (e.g. women, religious or ethnic minorities) who may have been neglected in other accounts? I’ve always enjoyed writing women back into history and was expecting it to be a tough task in the creation of this book. But there seems to be something about Byzantine/Constantinople/Istanbul that has allowed certain women – of all degrees – to flourish in a way atypical other age. Could this be a prehistoric Eastern influence? The opportunities for Roman businesswomen in a city where trade and exchange was its lifeblood? The elevation of the Virgin Mary to Mary Theotokos, the Mother of God in the Christian City? Whatever the reason I was delighted to discover, time and time again, literate and effective female characters in the story of the city from the ancient through to the mediaeval and modern periods. Your book is full of surprises. It is fascinating that you can trace links between Constantinople and Britain going back to the times of King Arthur. Some quite recent evidence seems to come into play there. Did some parts of your story take you by surprise? Did you make some favourite discoveries? I had a brilliant teacher in the form of Robin Lane Fox who always encouraged me never to be an armchair historian but to go where history happened. So you’ll find on the pages of the book the historical journey is a very physical one. I travelled to China, Siberia, India et al. – and yes Cornwall to research. The evidence I found proved to me how interconnected as a species we have long want to be. The extensive early Byzantine pottery hoard at Tintagel was a particularly pleasant surprises. I love the fact this came from an age when Justinian approved the sending of ‘subsidies to the barbarians of Brettannia’. You are a patron of the Iris Project, which supports initiatives across the UK to promote learning about the ancient world. Why are Latin and Greek still relevant today? In today’s digital world, how can schoolchildren benefit from learning about ancient language and cultures? I’m a patron of both the Iris project and Classics for All. The study of ancient languages and the people who loved and lived with those words is nothing other than nourishing. Those who learn about past worlds find comfort and inspiration (and the occasional warning!) 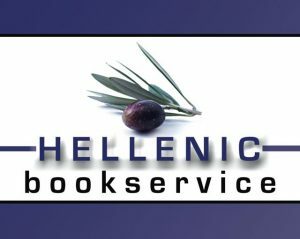 Read Greek or Latin texts or hear tales of the men and women who thrived from 1400 BCE – 1400 AD and immediately we are connected to thrilling lives – to hopes and fears beyond our own. The ancient world flourished in many of today’s political hotspots – so understanding the classics and classical civilisation also gives the vital, deep context to the everyday machinations of the 21st century. Its study also brings unadulterated joy.